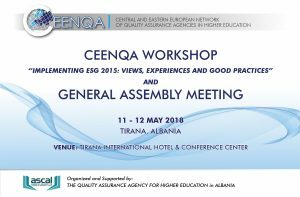 The annual meetings of CEENQA were held this year on 11-12 May 2018 in Tirana at Tirana International Hotel. 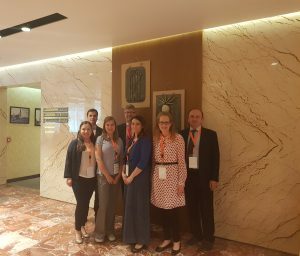 The Quality Assurance Agency for Higher Education in Albania (ASCAL) generously hosted the event. On Friday evening, the congregation visited Durres. 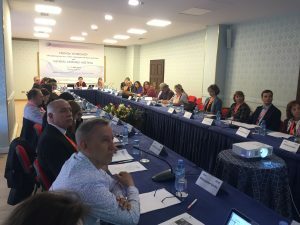 The participants could take part in a walking tour through Durres. 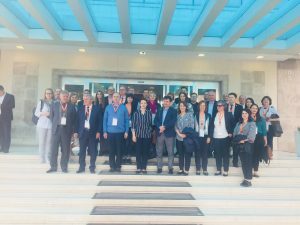 There, the participants visited the Amphitheatre of Durres as well as the beach promenade. Afterwards, the participants had a fine dinner at the seafood restaurant ARTUR. On Saturday afternoon, following the General Assembly and lunch, a bus tour to Berat was offered to the participants. There the participants had the opportunity to visit Berat Fortress and the National Iconographic Museum “Onufri”. 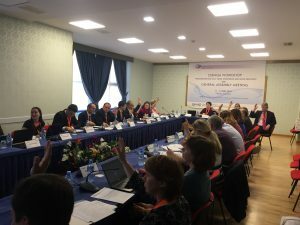 Please find the minutes as well as the annexes (participants’ list, programme of the workshop, agenda of Board Meeting, agenda of General Assembly, presentation of projects, financial report 2017 and Treasurer’s report) here. If you want to have a few impressions of the annual meeting, please look at the pictures below. © 2019 • CEENQA e.V.